Guest House International Inn is a serene oasis with the perfect location. 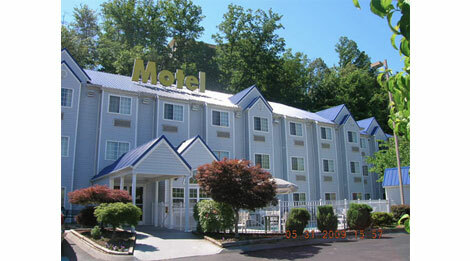 Located mere minutes from Dollywood, Dixie Stampede and The Old Mill with 4 major restaurant on site. Each of our newly renovated guest rooms have mini-Fridge, wireless and hot breakfast daily. With a seasonal outdoor pool to relax your cares away and cozy window seats to relax after your busy day. We cater to groups, families, and a “must” for the corporate traveler.